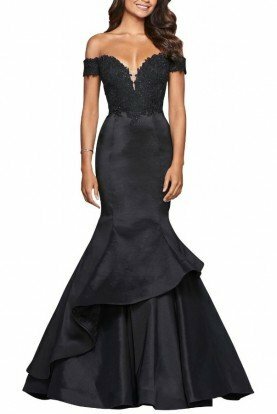 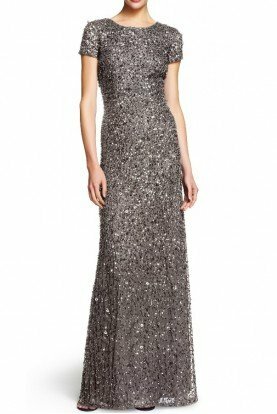 Gorgeous hand beaded evening gown that is a truly excellent choice for any black tie event, wedding or even mother of the bride or groom. 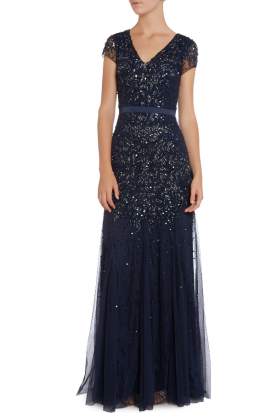 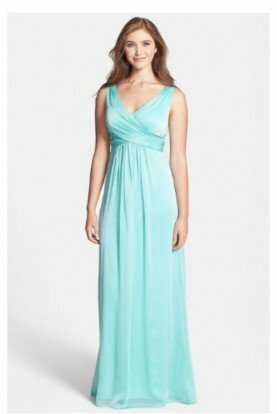 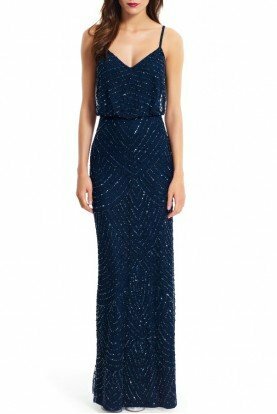 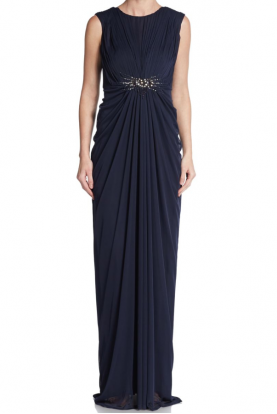 Glow under the moonlight in this brilliant navy blue evening gown with strategically placed silver and lead embroidery on the sides giving it a curve hugging silhouette. 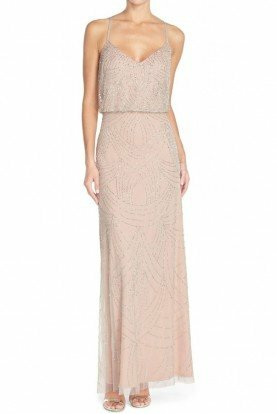 The demure embellished cap sleeves and a sophisticated high neckline in sheer with sequin edge reveals a plunging sweetheart neckline beneath.